Use Monitor Scouts extensive monitoring network to perform checks of your services. Monitors are available for many common services such as HTTP, FTP, SMTP and more. Create passive monitors that receive reports from external sources using the Monitor Scout webservice API. Monitor Scout has a network of 25 monitoring locations around the world that can be used to monitor your services from multiple locations. Receive alert notification to multiple users using both email and sms. 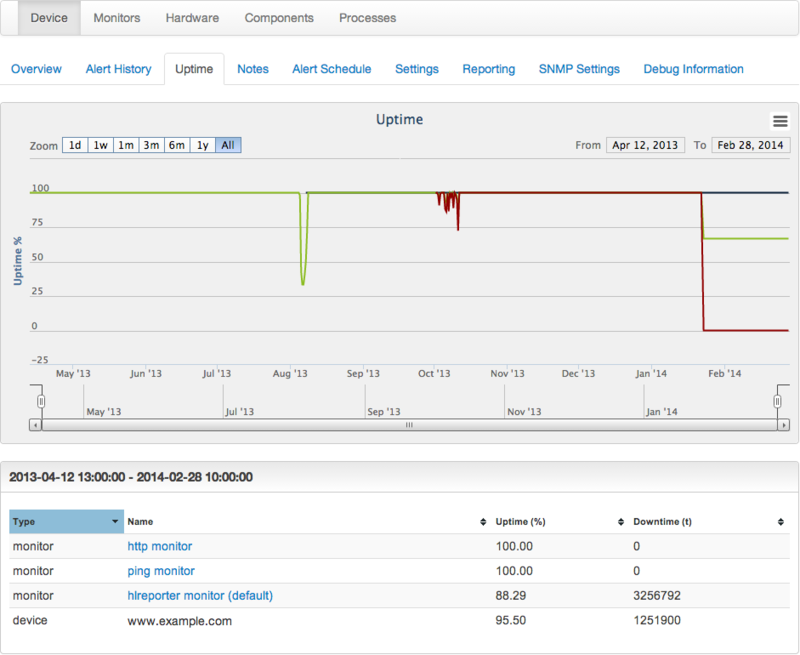 Monitor Scout optionally lets you monitor a device using SNMP. This can be used to graph and monitor system metrics such as CPU, memory etc. 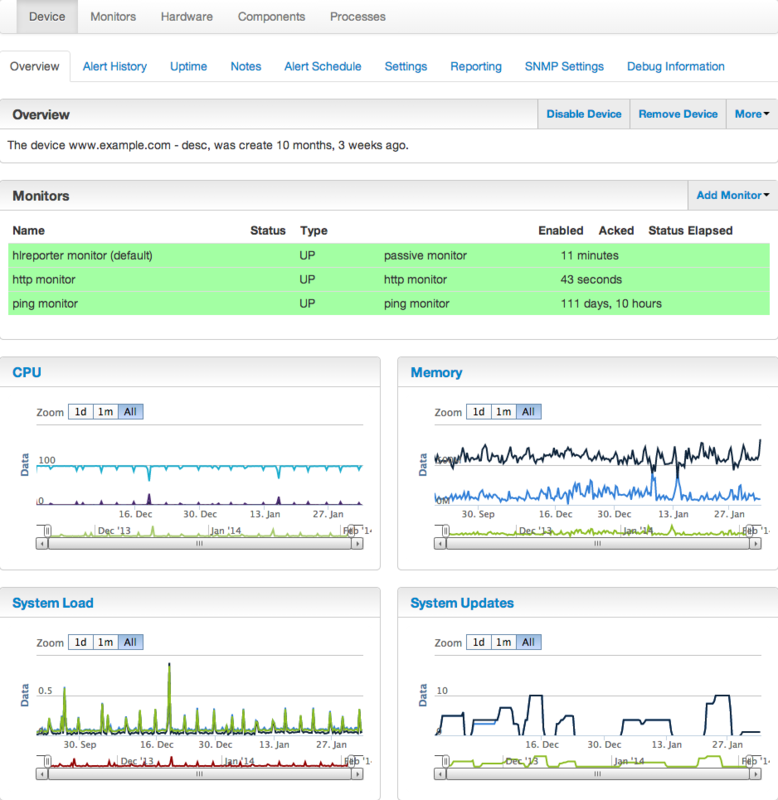 Monitor Scout includes a reporting client that can be installed on Linux & Windows servers to monitor a large number of system metrics such as CPU, memory, etc., and also includes support for a number of common applications such as Apache, Memcached and more. External sources can create alerts on demand using the Monitor Scout webservice API. 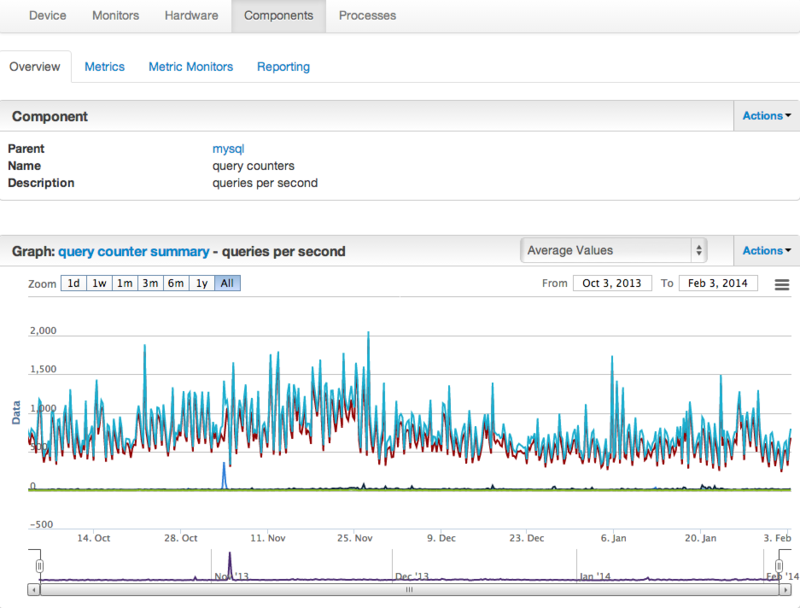 Graphs are available for monitor response times, uptime measurement and more.